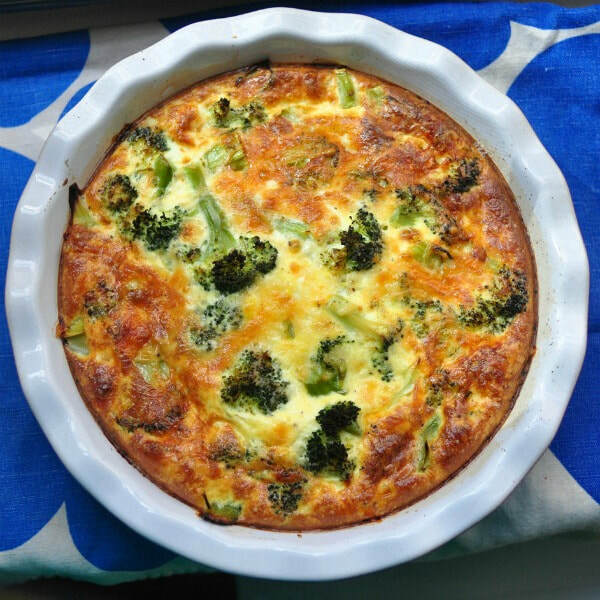 Egg dishes and quiches are a great way to add vegetables to your breakfast. This recipe is a perfect way to use frozen or canned vegetables you might already have in your pantry. Mix the eggs, milk, salt, pepper, and garlic powder in a medium bowl with a fork or whisk. Add the cheese and vegetables and gently stir to combine. Pour mixture into pie crust. Bake for 30-40 minutes, or until a knife inserted near the center comes out clean. Let the quiche cool for 5 minutes before serving. *Nutrition information differs based on pie crust, vegetables, and type of cheese.